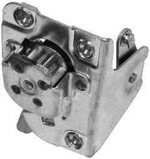 This door lock latch assembly fits both front and rear doors for the LH side. 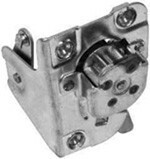 This door lock latch assembly fits both front and rear doors for the RH side. Door hinge pins and bushings to repair or Chevy or GMC Truck's door hinge. Kit includes 2 pins and 4 bushings. This patch panel repairs the commonly rust damaged area at the bottom of the "A" pillar just below where the door hinges attach. 1960-66 Door Hinges fits either your upper or lower hinge for the Left Hand Side. Sold as each. 1960-66 Door Hinges fits either your upper or lower hinge for the Right Hand Side. Sold as a each.